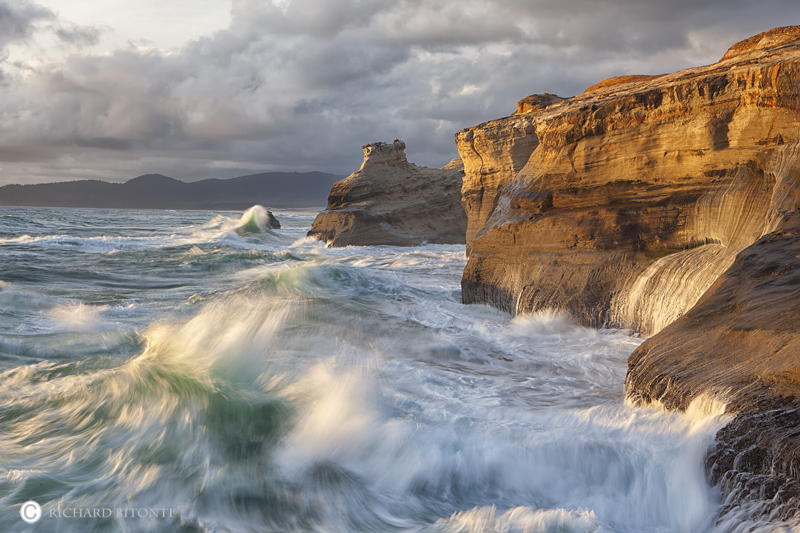 Late afternoon light blankets the west-facing cliffs at Cape Kiwanda near Pacific City Oregon. This part of the cape is known for its incredible display of intense wave action and crashing surf. Photo © copyright by Richard Bitonti.